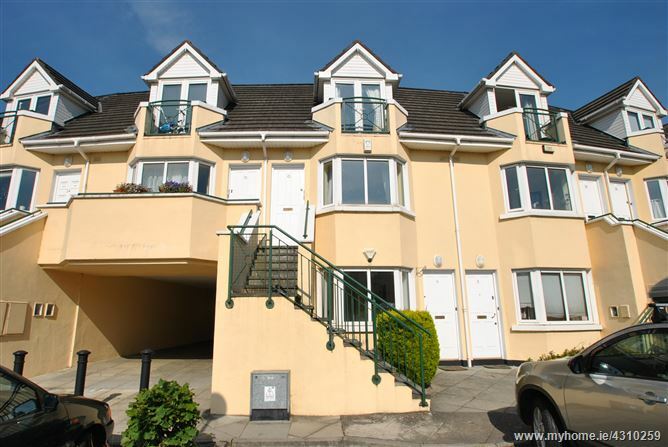 Redmond Property Consultants are pleased to present this most appealing and attractive three bedroom 1st/2nd floor duplex apartment, ideally located in this popular residential development in the centre of Swords. Built 1999, the property is modern and well maintained throughout. Accommodation briefly comprises hall, bedroom/study, spacious open plan lounge with fully fitted kitchen and three good sized bedrooms, master bedroom en-suite and main bathroom. The property has a balcony and overlooks a large well maintained communal roof garden. There is one designated surface car parking space. The Plaza Crescent is a modern apartment complex conveniently located in the heart of Swords Village with a whole host of local amenities on your doorstep including shops, schools, bus links, parks and sporting facilities and the Pavilions shopping centre. Dublin Airport is within easy reach and the Swords Express has speedy access to Dublin City Centre. An opportunity not to be missed, viewing is highly recommended. From Swords Main Street, turn left at Swords Garda Station onto Malahide Road. Proceed past Wrights Cafe Bar and the entrance to The Plaza Crescent is through electric gates on the left hand side opposite the pedestrian entrance to Pavilions Shopping Centre.